Bridge - What is it all about? Bridge is a card game played by 220 million people world-wide and one in fifteen people in the UK alone - it is one of our favourite past-times and is currently enjoying a huge resurgence of popularity. In places like China and Poland, it now forms part of the National Curriculum and it has even been said to stave off degenerative diseases. Four people play together using one pack of cards for each game, sitting around a table. Each person is on the same side as their opposite number - they are 'partners'. If you imagine a compass, North plays with South and East plays with West. A normal pack of 52 cards is dealt out one at a time to each player so that all players have 13 cards each. Each player then arranges their cards into the four suits. There are two stages to each 'hand' of bridge followed by the scoring. The first stage of the game is the 'Bidding' (sometimes called the 'Auction') where each player takes it in turn to describe their hand to their partner so that they can work out how many of the thirteen possible 'tricks' it would be sensible to attempt. The bidding uses a special language of only 15 words so precision is needed and communication vital. A 'trick' is made up of one card from each player - Aces high. As with all auctions, the bidding ends when three players in a row 'No bid' and so one player becomes 'declarer' - they have to play the cards and make the number of tricks that they have bid in the auction. Their opponents have to stop them getting these tricks. So, if you bid to make eight out of thirteen tricks, your opponents can stop you by getting six. 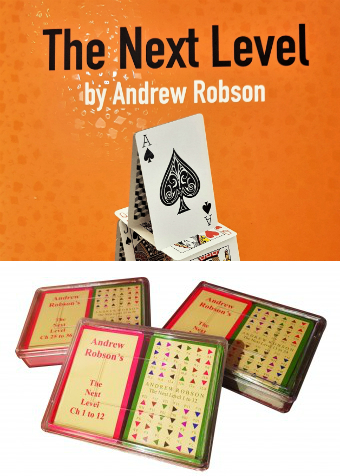 The second stage of the game is the play of the cards. This only involves three of the four players - the fourth player, or 'dummy', who is declarer's partner lays their cards face up on the table for their partner to play. The dummy plays no further part in the game and is then free to leave the table to make coffee, fetch a beer from the fridge or simply sit back and offer moral support. There is always an eventual winner in bridge but for most players it is the social aspect of the game and particularly the partnership dynamic that gives bridge its main appeal. The game is scored in relation to the number of tricks taken, and the highest score at the end of the game wins. There are two main forms of bridge - 'Rubber' bridge and 'Duplicate' bridge. Rubber bridge is played in homes throughout the land and is the way almost everybody starts out. The object of Rubber Bridge is to win the best of three games and it is probably the most sociable form of bridge. Duplicate bridge is the way in which most competitions are run - everyone has the same cards and you are compared to other players holding the same cards and whoever does best on each hand wins. 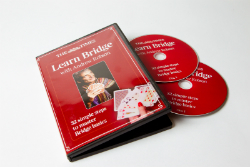 Bridge is a game that needs to be learnt but is enjoyed from the very outset. Whichever form you play, rubber or duplicate, bridge is hugely stimulating for the brain and highly addictive.